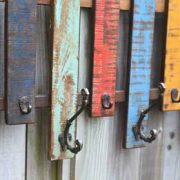 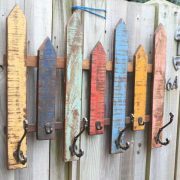 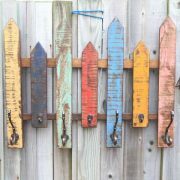 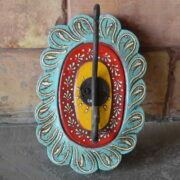 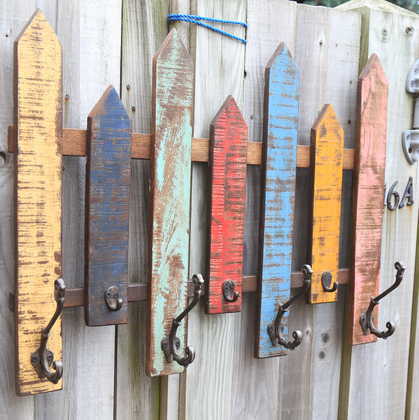 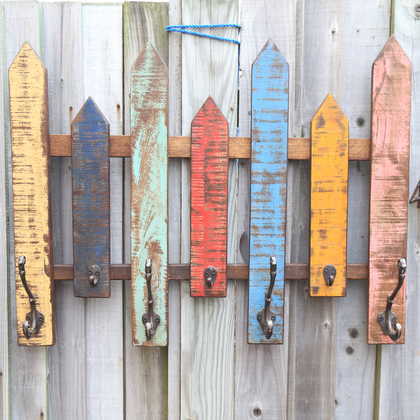 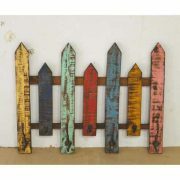 An unusual and colourful picket fence-inspired row of wall hooks. 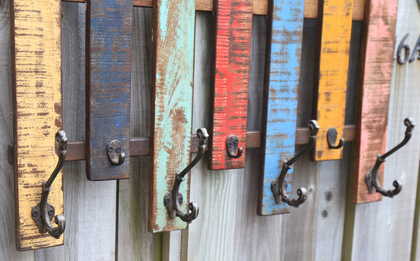 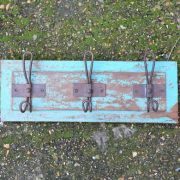 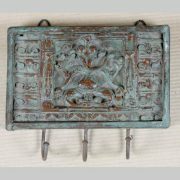 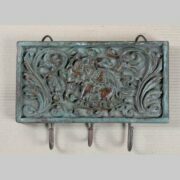 Each of the four longer posts have large vintage iron hooks, while the three shorter posts each have small vintage hooks. 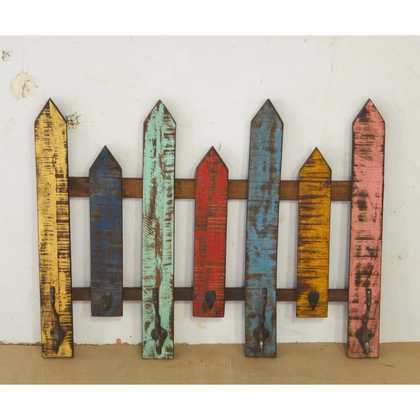 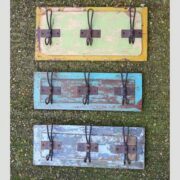 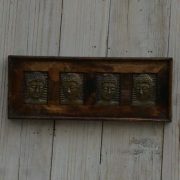 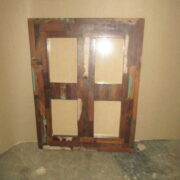 Made from reclaimed timber, and painted in distressed yellow, blue, green, red, pink. 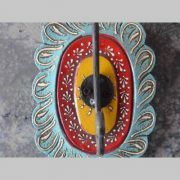 Ideal for a variety of family coats from adults to children.